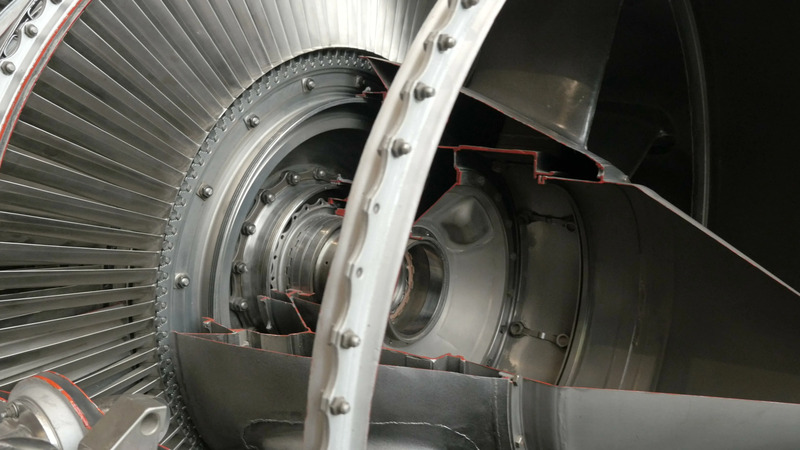 How Does The Aircraft Engine.turbine Sectional, Internal Structure Equipment. Description: How does the aircraft engine.Turbine sectional, can be seen internal structure equipment. Turbine blades.